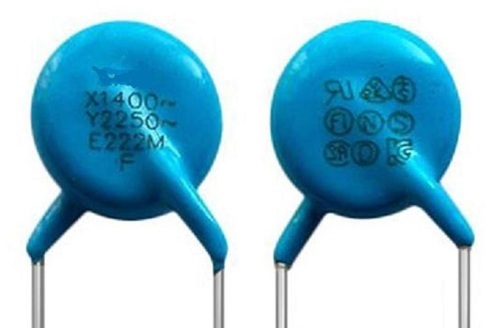 Y2 Capacitors, which are used to bridge operational insulation, are classified as Y1, Y2, Y3 or Y4 according to type of bridged insulation as well as AC and peak voltage ratings. Y1 class capacitors are rated up to 500 Vac, with a peak test voltage of 8 kV. Commonly used Y2 capacitors in DAIN are 222M 250Vac and more according to the requirement in application. Conventional in the year 1993, at Delhi, (India), we, “BP Impex Pvt. Ltd.”, deal in all kinds of sound entertainment products.Multimedia Speaker, High Power Multimedia Speakers , Multimedia Sound Tower Speaker, Professional audio, Mini bluetooth speakers, earphones, aux cables and all kinds of other entertainment products from brands like INSONO and OCCANO. Sourced from the dependable vendors of the manufacturing, our vendors manufacture these merchandise using brilliant excellence raw fabric and progressive skill in devotion with the worldwide quality principles. The obtainable goods are accessible in different finishes, stuff, grades and sizes as per the explicit desires of patrons. This merchandise is extensively accredited by our regulars for their description like robust finish standard, striking design, decay resistance, easy fitting and toughness.